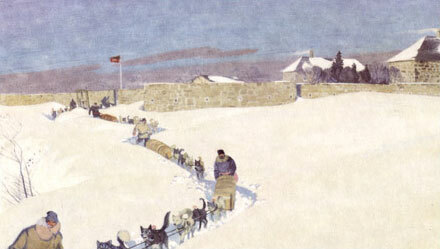 Welcome to Fur Trade Stories, a unique presentation of primary and secondary resources found in the collections of Canada's National History Society, HBCA - Archives of Manitoba, The Manitoba Museum, Parks Canada and several First Nations communities. To begin your journey through the thoughts and hearts of the brave people who explored and survived our wilds, choose any of the three periods below. Long before this land would beckon strangers, its native inhabitants were already living in complex communities and pursuing trade relationships. The Europeans have arrived to this “New” world (new to the Europeans, anyway) and nothing will ever be the same again. As tastes and resources change, the people who lived and loved the way of the fur trade life must learn to adapt and change as well.